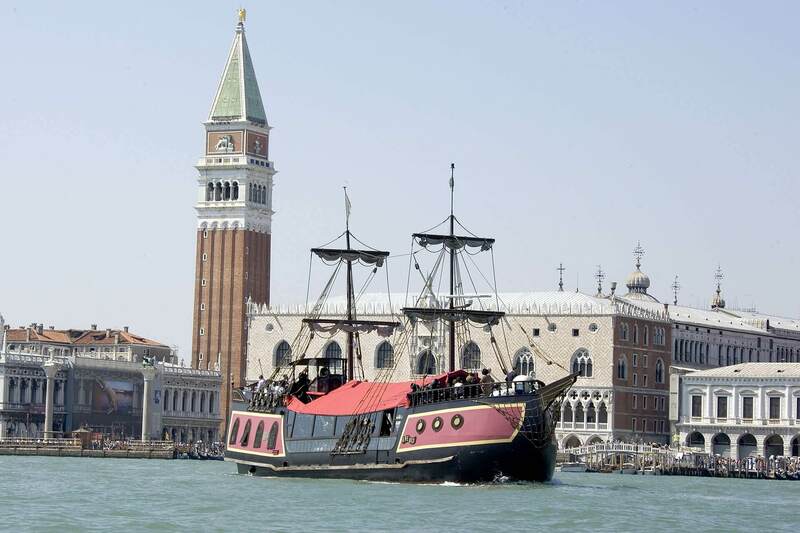 The Venetian Galleon is an original location for private parties, weddings and business meetings, candlelight dinners, theme parties or excursions discovering venetian islands, in a unique and impressive setting. 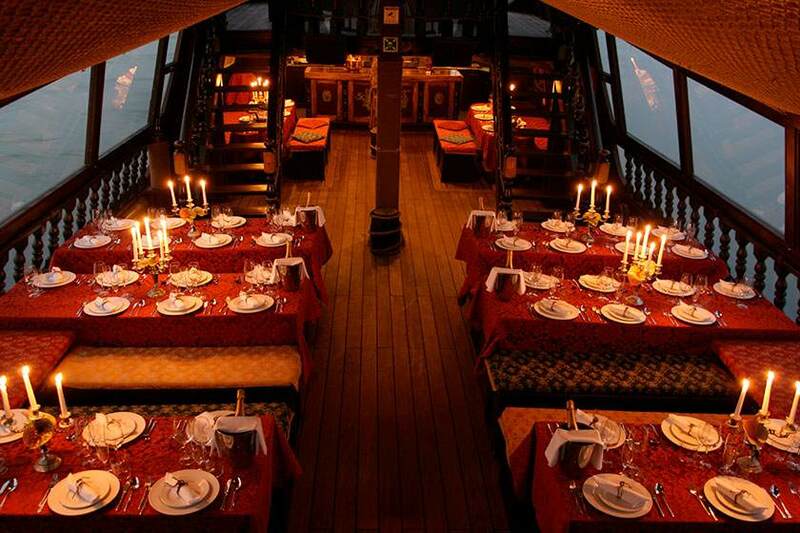 With its versatile spaces, the interior of the Galleon can be prepared to host any type of event, from a business meeting, accompanied by a brunch or coffee break between work sessions, to a gala dinner navigating alongside the picturesque islands of Murano, Burano and Torcello, to magical Venice, where a stopover can be planned for a romantic and leisurely stroll. 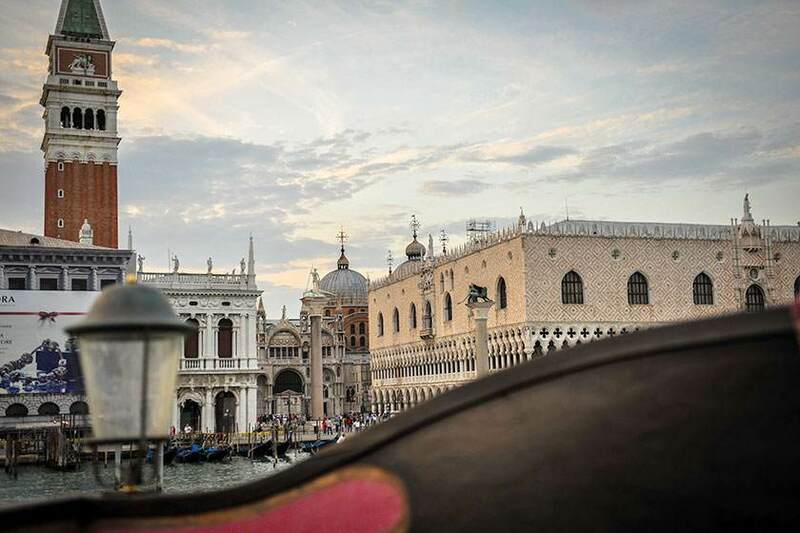 Thanks to its long-time experience, the Venetian Galleon staff will surpass your expectations in any situation, with its efficiency and organizational expertise, ready to welcome the diverse requests and satisfy the multiple and individual needs of guests. 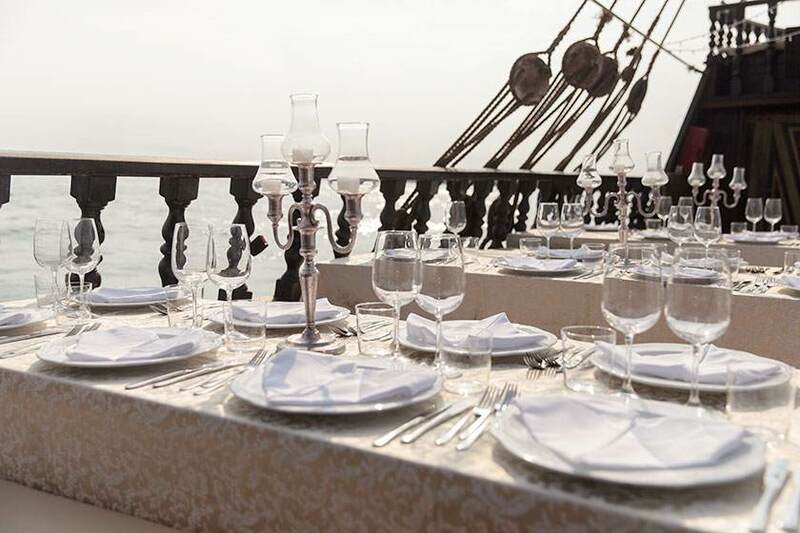 The elegance of the location and continuously changing scenery before the eyes of passengers are the strong points of this unusual proposal, allowing you to create your customized event, in an original and supremely entertaining on board atmosphere. Detailed attention is devoted to the realization of each event, from the kitchen to the care of every detail in the preparation of buffets and lunches or dinners with table service, to customized locations (sceneries, floral decorations, etc. ), entertainment proposals for theatrical and musical shows, bringing together our customers' needs and expectations in the realization of a unique and personalized event. Our in-house food workshop allows us to entirely control the production process, from the supply of raw materials to cooking and table service. 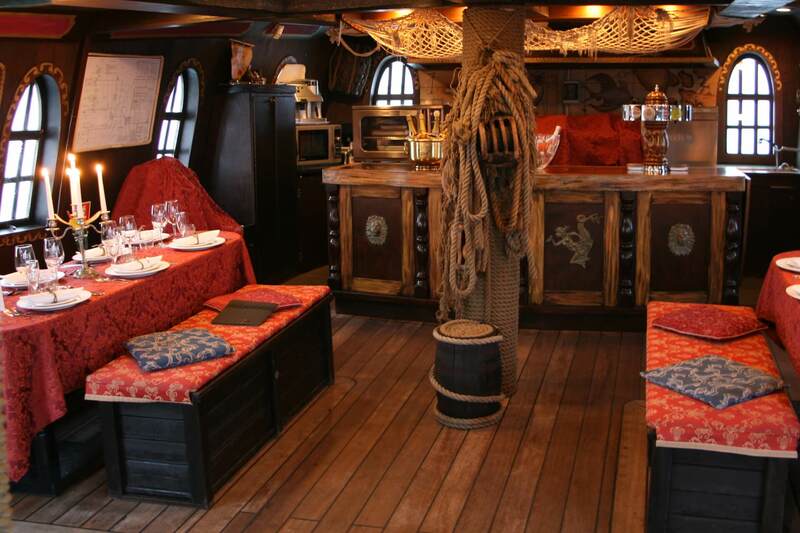 On board the galleon, the galley provides everything required for the bar and restaurant. The plaque on a pier at the Arsenal that mentions a Venetian "galleon" for the first time dates back to 1531: this was a hybrid vessel, equipped both with sails and oars, showing its kinship with the smaller "galleys" by way of a long spur set in the "prow" of the galleon, which over time lost its original offensive function and became a platform from which to maneuver the sails. 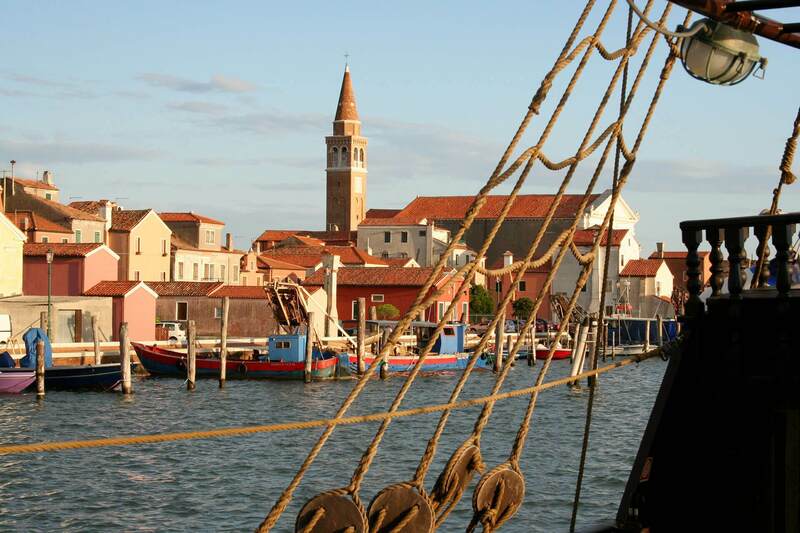 The Naval Museum of Venice exhibits various miniatures models that reproduce Venetian galleons and all their features in scale.